Negativity is king on YouTube, so it's always good to praise the positives when you can. Take for instance Binging with Babish. Babish got his start by recreating dishes seen in famous movies and TV shows by first trying to follow the recipe given on the show, then using his culinary skills to improve upon it. This week, to celebrate the release of his new vlog series for his YouTube channel, Babish dedicated an episode to the infamous cake from Portal. Specifically, he went off of the picture which indicates it is a black forest cake, rather than the more insane Cake Personality Sphere's recipe. This isn't the first time Babish has gone to the video game well either. During the height of the craze around Red Dead Redemption 2 he did his own take on bear stew, and while I haven't eaten meat in almost four years, or bear ever for that matter, the stew sounded amazing. 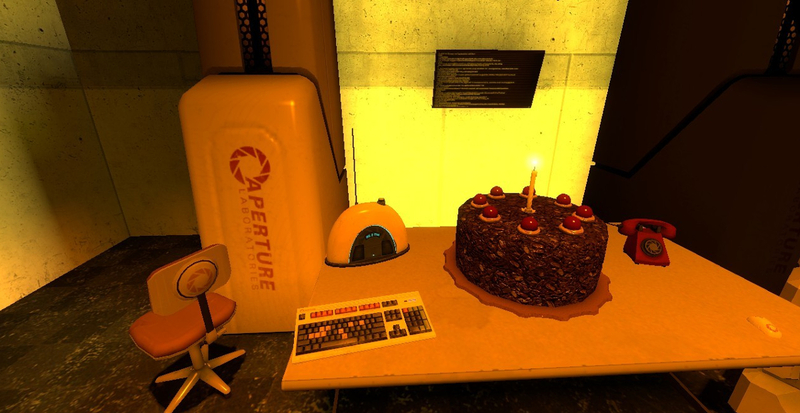 Maybe one day Valve will learn to release a third in an established series, but until then at least there's cake?